Today, businesses running thru rigid competition across globe want to differentiate themself from the lot. New Age is experienced with implementing or improving E-Commerce and ERP and increasing sales. Irrespective of the size, both B2B and B2C have clearly understood the pain-points and realized the benefits of leveraging their Dynamics ERP system by integrating it with their Magento online store. 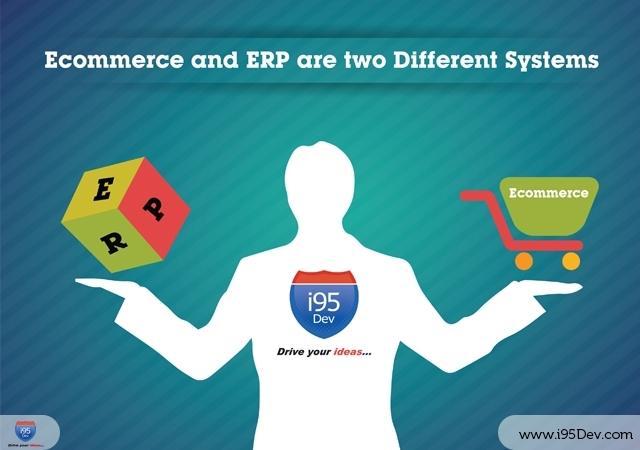 But, business decision makers are seen to be so occupied by the benefits of the two that they fail to understand that Dynamics ERP and Magento are two very different systems which were designed to meet very specific requirements. Integration enables the two unfamiliar systems to communicate among each other but expecting the two systems to replace or replicate each other’s functionality is highly unpractical. How different the systems are? Be it Pricing, Payments, Order Fulfillment, Shipment and Invoice, both systems act differently. In Pricing, Tier Pricing (in Magento)/ Price Levels (in Dynamics ERP) are a feature that enables businesses to offer customers’ quantity based discounts. Both systems aim at providing quantity based discounts using these features but the process of mapping the information and using them in these two systems is entirely different. In Payments, Credit Limits, Net Terms and EMI options are available in Dynamics ERP. With i95Dev Magento ERP Connect, Magento is being extended to support Credit Limits, Net Terms and EMI Schedule and sync this information with Dynamics ERP to make it convenient and effortless for businesses to run and scale their business. With several differences in place, this eBook highlights them for our readers to better understand the two systems, the limitations of integration while appreciating the complexity of integration and the corresponding i95Dev support to overcome such challenges. To know more, Download your free copy now!! !